Attention shoe addicts, this Saturday is the day to indulge in the largest sneaker festival in Europe. You will be able to get your hands on some hard to find footwear with the 200 trainer stalls, swapping station and even an exhibition dedicated to Air Jordans. 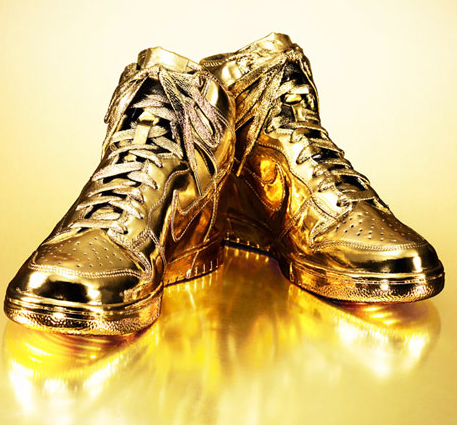 Feed your shoe fetish by checking out the sneaker holy grail at Old Truman Brewery. Last night was the fourth and final day of GFW 2014, attracted 30,000 visitors to their new location in the Old Truman Brewery in east London. Prizes were awarded on this day, judged by a panel tht included British Fashion Council’s Sarah Mower; designers Peter Pilotto, Philip Treacy and Louise Gray; Sara Maino of Italian Vogue; and Fiona Lambert, vice-president of George at Asda, which sponsors Graduate Fashion Week. 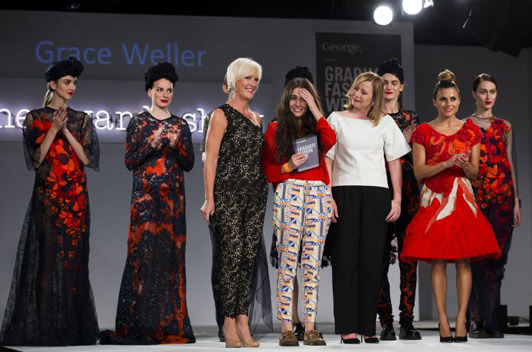 Bath Spa University’s BA graduate, Grace Weller, 21, was a favorite among the panel taking home both the Best Womenswear Award, and the Gold Award, worth £10,000. Her collection of sophisticated, hand-embroidered lace, in red, black and navy sat well with the judges. Bath Spa University had won both titles two years ago. Other awards on the night went to Aimee Dunn of Nottingham Trent University, winning the menswear award, Rebecca Swann, also of Nottingham Trent University, who won the Stuart Peters visionary knitwear award and Manchester School of Art’s Camilla Grimes taking home the creative catwalk award.